Common stock is a form of ownership and equity, different from preferred stock, that still earns rights of ownership for its shareholders. Common stock is a form of equity ownership. It is a type of security that is also known as a voting share or an ordinary share. Common stock shareholders will not receive assets after bankruptcy unless the bondholders, other creditors, and preferred shareholders are paid first. Common shareholders also do not get dividends unless preferred shareholders receive them first. Common shareholders do receive voting rights. Some shareholders may also be able to exercise preemptive rights. Common stock: Common stock is a form of equity and type of security. Common stock shareholders are at the bottom of the line when it comes to dividends and receiving compensation in the case of bankruptcy. equity: The residual claim or interest to investors in assets after all liabilities are paid. If liability exceeds assets, negative equity exists and can be purchased through stock. dividend: Dividends are payments made by a corporation to its shareholder members. Common stock is a form of corporate equity ownership, which is a type of security. The terms “voting share” or “ordinary share” are also used in other parts of the world. “Common stock” is used primarily in the United States. It is called “common” to distinguish it from preferred stock. If both types of stock exist, common stock holders cannot be paid dividends until all preferred stock dividends (including payments in arrears) are paid in full. Should bankruptcy occur, common stock shareholders receive any remaining funds after the bondholders, creditors (including employees), and preferred stockholders. Such shareholders usually receive nothing in the case of company liquidation. New York Stock Exchange: Stocks can be bought and sold on exchanges, like the New York Stock Exchange shown above. While Common stockholders are generally last in line among other creditors to receive assets should the business in question go bankrupt, common shares do tend to perform better than preferred shares over time. Also, Common stock usually carries the right to vote on certain matters. These matters include but are not limited to deciding for who gets to sit on the board of directors of the company. However, a company can have both a “voting” and “non-voting” class of common stock. Common shareholders do not get guaranteed dividends, so their returns can be uncertain. It must be remembered that Preferred stock generally does not carry voting rights. Holders of common stock are able to influence the corporation through votes on establishing corporate objectives and policy, stock splits, and electing the company’s board of directors. Some holders of common stock also receive preemptive rights, which enable them to retain their proportional ownership in a company should it issue another stock offering. Preferred stock usually carries no voting rights, but may carry a dividend, have priority over common stock upon liquidation and/or have other benefits. Preferred Stock is a security which has characteristics of both equity and debt securities. Preferred Stock shareholders have rights to dividends and assets (in the case of bankruptcy ) before Common Stock shareholders. Preferred stockholders have a number of rights which will vary based on the business entity, but generally do not carry voting rights. Preferred Stock: Preferred stock is an equity security that has the properties of both an equity and debt instrument and is higher ranking than common stock. 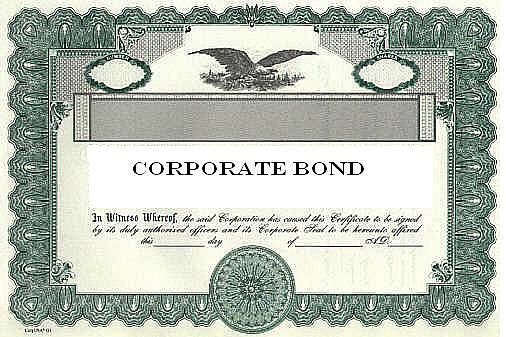 bond: A bond is an instrument of indebtness of the bond issuers toward the bond holders. Preferred stock (also called preferred shares, preference shares or simply preferreds) is an equity security with properties of both an equity and a debt instrument, and is generally considered a hybrid instrument. It is senior (i.e. higher ranking) to common stock, but subordinate to bonds in terms of claim (or rights to their share of the assets of the company). In other words, in the case of liquidation or bankruptcy, preferred stock will have claim to assets before common stock, but after corporate bonds or other debt instruments. Bond: Preferred Stocks are considered a hybrid security with properties of both stocks and bonds, but are subordinate to bonds when it comes to rights of claim to company assets. Similar to bonds, preferred stocks are rated by the major credit-rating companies. The rating for preferreds is generally lower, since preferred dividends do not carry the same guarantees as interest payments from bonds, and they are junior to all creditors. Details with regards to the rights associated with preferred stock will vary with the business entity that issues the shares, and preferred stock can come in a number of different classes. Some examples are prior preferred stock (highest priority), preference preferred stock, convertible preferred stock (exchangeable for common stock), cumulative preferred stock, exchangeable preferred stock, participating preferred stock, putable preferred stock, monthly income preferred stock, and non-cumulative preferred stock.